Most web hosting providers deliver a dedicated server with just OS installed and a few bare minimum components. Right after receiving server logins, you’d need some important software on your server to make it more secure and easy to manage. In this post, we have compiled a list of software that will help you with easy server management and better security. The software choice for Windows systems mainly depends on the fact how you are going to utilize your server. Let’s say, you are going to use it as an ASP.NET development machine, you’ll need the complete Visual Studio suite installed then. Similarly, to host a Radio server or Forex trading platform, you are required to install respective software on the server. In such a way, we’ll discuss some generic software every Windows server must be installed with. Unless you hold the years of experience with Windows systems, it’s a bit difficult to manage Windows servers through remote desktop connection. That’s where control panel comes into play. A hosting control panel gives you web-based GUI which helps you manage all web services under single login very efficiently and quickly. It also allows you to manage websites, domains, SQL databases, DNS records, email accounts, FTP accounts, file functions, disk space availability, bandwidth usage, and lot more. WebsitePanel, SolidCP, and MSPControl are the most popular free control panels. If you’d like to have some paid alternative, you can go with the Plesk panel. Unlike Linux systems, Windows server requires a lots of individual components to build a functional web server. Having said that, you are required to go to individual websites, find the compatible dedicated server software version and install it manually. This sounds a little bit tedious and takes hours to complete. To get rid of this, you should install Microsoft Web Platform Installer (Web PI) even before you run Windows updates. It’s a tiny tool that fetches the latest components of the Microsoft Web Platform, including Internet Information Services (IIS), SQL Server Express, .NET Framework, PHP, MySQL Server and lot more. It can also install the most popular free scripts for blogging, and content management system (CMS) within a few clicks. To ensure your dedicated server is protected against online threats and malicious traffic, a solid firewall is a must have thing. As we know that Windows systems also come with an effective built-in firewall that adds a layer of protection to your server. This default firewall is powerful enough and works quite well for most of the servers. In case you’d like to make your server more secure than you can consider personal software firewall. ZoneAlarm Free Firewall and Comodo Free Firewall are both excellent free alternatives you can think of. Malware is no imaginary problem, especially for the Windows servers. Hundreds of new virus definitions are spread daily across Internet and antivirus labs have to detect them and find solutions. Having RDP access for the dedicated server, if you or one of your colleagues visit a phishing website or download uncertain files by mistake, your dedicated hosting platform may infected by dangerous malware. Even some viruses are distributed through emails, freeware tools, and pop-up messages. As such malicious software can completely damage your dedicated server functionality, compromise security or erase sensitive data. So, it is essential to have a good antivirus software to detect & remove viruses before they harm your system. Antivirus software detects suspicious websites and files that contain malicious programs before they enter your server and blocks malicious scripts from being downloaded. ClamWin is an excellent free antivirus program supporting most of the Windows desktop and server OS. There are also plenty of paid alternatives available on the market so you can choose according to your requirements and budget. RDP (Remote Desktop) allows users to connect to a remote server from anywhere. Indeed RDP is a very useful feature however, it also has several security issues. When a malicious user launches the network/port scanners or RDP brute-force attacks on Windows servers, thousands of failed login attempts are generated and pages of events are being logged. Such attacks abuse your dedicated server resources (CPU, RAM, Disk Space and Network Bandwidth) and degrade the overall functionality of the server. Above listed dedicated hosting programs are currently configured on our own servers and so far so good for the production usage as well. Of course, you may also need some other specific tools based your requirements, so you may subscribe to our managed dedicated server plans directly for guaranteed security and support. When Does It Make Sense Choosing Fully Managed Or Self-Managed Dedicated Hosting? With a wide variety of hosting options available today, such as shared, VPS and dedicated servers, choosing the right hosting option for your business can be both crucial and confusing. If you are planning to build an enterprise application boosting the revenue and profits to your online business, a dedicated server could be a good choice. In some circumstances, dedicated hosting may even be an obvious option, like if you are about to launch some busy site anticipating millions of hits per day. But choosing the right dedicated option may not be as simple as you thought. There are two basic types of dedicated servers differentiated by how servers are managed, namely managed and self-managed/unmanaged dedicated hosting services. What Is Fully Managed Dedicated Server? With fully managed dedicated servers, your hosting provider takes care of all your server related issues so you don’t have to worry about the technicalities behind running the server. Your web host is also responsible for the complex and time-consuming server management process. Server experts monitor your equipment 24/7/365 ensuring it is running smoothly. In addition, hosting companies may also offer various other services like backups, scanning, and removal of malware, performance monitoring and more. Performance monitoring allows you take precautionary actions before disaster strikes. For example, your host will notify you when your site is about to having used all of its available resources, like disk, RAM or bandwidth. Thus, you’ll have enough time to contact your web host and resolve an issue before it’s too late. Software updates are very important for the server as they keep your system healthy and secure. Many web hosts will take care all of this for you so you won’t have to update any of it on your own. Server security is the pioneer priority for any online business. Security scanning exposes the multitude of possible issues with your server and enables you to clean them up. Fully managed servers are constantly checked by the web host for loopholes on the site as well as malware, spyware, and suspicious traffic patterns. Your host takes backup of your data on a regular basis ensuring that after a crash or some other error, no data will be completely lost and could be restored quickly. With the managed dedicated hosting option you get 24/7/365 technical assistance. You can enjoy the peace of mind knowing that you’ll get a helping hand whenever you are in need. When You Should Opt For Fully Managed Dedicated Hosting Services? If you are not a technical person and you don’t know anything about hosting, managed dedicated hosting would be the perfect choice for you. You are a tech savvy and know how to manage a dedicated server, but you don’t have at such time or you want to focus on your core business. In that case, fully managed dedicated servers would be an ideal option. You know the technical know how of web hosting but you want the web hosting experts to handle everything for you to avoid mistakes and to ensure that everything is getting handled the proper way. Business critical websites like an online eCommerce store must function with the maximum efficiency. You’ll need expert assistance right away in case of any issue with your website/server, otherwise, your business will be affected. You rather often require server customizations like complex service and software setup, integrations, etc. What Is Self-Managed (Unmanaged) Dedicated Hosting? Dedicated server hosting with a little or no management assistance is known as unmanaged or self-managed dedicated hosting. With unmanaged dedicated hosting, you get a server with only an operating system installed. This means that you’ll have to install any necessary software on your own like LAMP stack. Your web host is only responsible for the availability of a functional physical server. 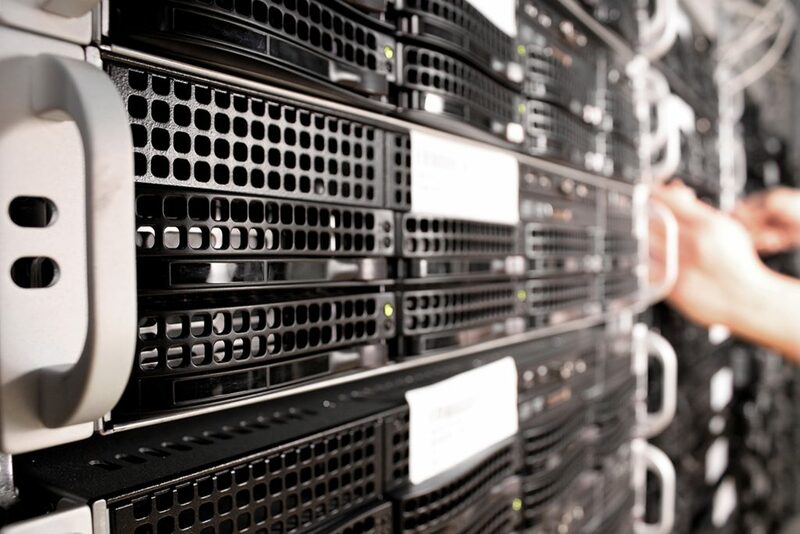 When Should You Choose Self-Managed Dedicated Hosting Services? If you are tech savvy and you hold the good experience in managing servers then you can consider self-managed dedicated servers. If you prefer the higher levels of freedom managing your server or you want to control every aspect of a server then you can go with self-managed dedicated hosting. The cost of an unmanaged server is always less than that of a fully managed server, so if you are short of funds then self-managed dedicated hosting can be the most deliberate choice. If you don’t want to rely on anyone else to make changes to your server or your website then choosing unmanaged dedicated hosting is the best thing to do. For hosting newbies, managing a server is not only time-consuming, but also a complex thing. With a managed dedicated hosting, you can use your valuable time on more productive business tasks.